Master essential management skills now: When you need. Where you need them. Throughout my career, all over the world, I’ve met hundreds of managers and leaders from all walks of life and the one constant I’ve found is that we all learn differently. I created Management Success Cards® to cater to the needs of frantically busy managers and leaders who seek instant extreme focus learning. No more chasing your tail to get the work done, drive performance, and motivate the team. Learn key insights into better productivity, workflow, communication and leadership. Make better use of the commute, airport wait times, in-flight time and time spent between meetings. Pick a card, any card. Let it guide you towards thought streams that will drive innovation and enhance your efficiency. Management Success Cards® are a revolutionary tool that will help focus your audiences and guide them towards expanded learning. Management Success Cards® show your managers, and high potentials, that you are invested in their development and success as strong, effective and productive members of the company’s leadership team. We can arrange a special price on quantity sales. 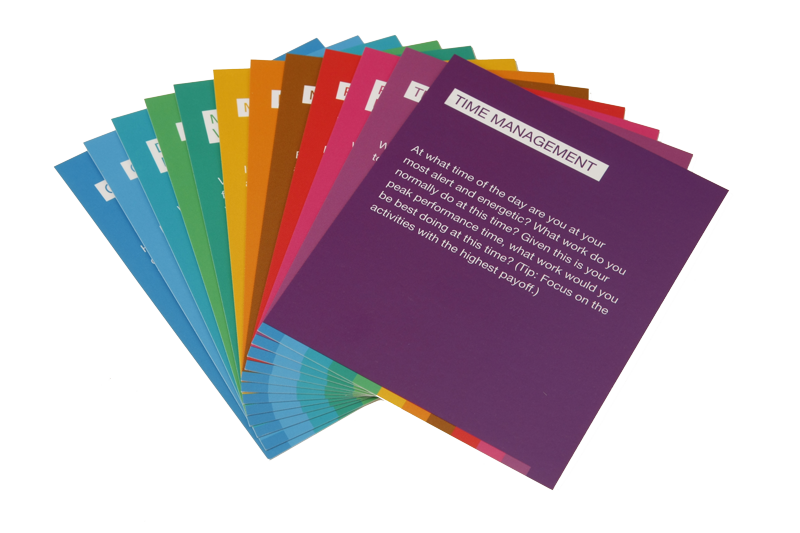 When you have been brought in to guide and support managers, leaders and business owners as they transition their own teams through stressful change processes, growth or some business implementation, the Management Success Cards® can give you ideas and insights for giving that essential support and guidance. 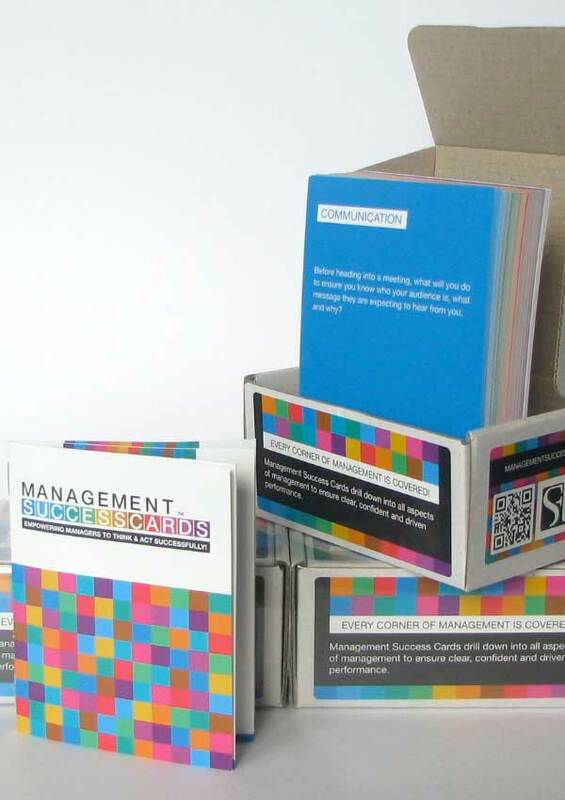 Your deck of Management Success Cards® comes with an instruction booklet with ideas of how to use the cards. Work through one card per day or week: read, reflect, set action then take action! Work through one skill set a month: read, reflect, set action/s the take action! Use them as a coaching tool for your management team! Endless options for use … all resulting in successful managers who will lead better! I highly recommend the Management Success Cards™ created by Sally to any manager. The thought-provoking questions have guided me to better, clearer decision-making for driving team performance. I know that if a people management challenge arises I can refer to the Management Success Cards™ for successful self-directed coaching. I also love the colourful and vibrant design. Every corner of management is definitely covered! Great little bundle of motivation! They make me ask my clients better questions!